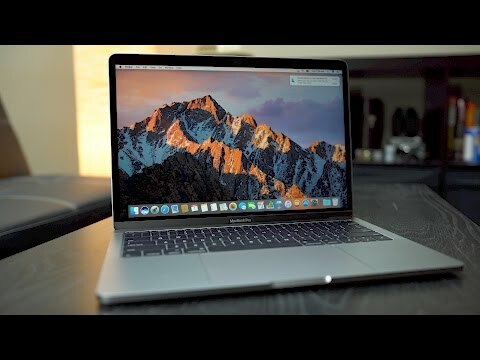 Last week, Apple announced an all-new MacBook Pro lineup redesign featuring a thin-and-light chassis, wide color gamut display, and Touch Bar with Touch ID. Today, AppleInsider unboxes the first release, Apple's new 13-inch MacBook Pro with classic physical function key row. I thought the video was well done, but it should be noted that it's a boxing or un-unboxing video. Stimulating in all the right ways. Had a chance to see one of these non-TouchBar Macs today at BestBuy. The screen is SIGNIFICANTLY better than previous MacBook Pros, almost shocking how bad the previous MacBook screens (which I am using right now) appear in comparison. First, it's a reboxing video. Second, it's not the model with the Touch Bar or Touch ID. They should have at least booted it up. You think showing it in reverse order is artistic. But it's annoying. I wanted to *experience* the unboxing, not have it spoiled. Much better not in reverse action. A knife is a blade used for cutting things. In this case, it cut through (or, in the video, it removed the cut in) the plastic wrap. It is neither a Pro, nor an Air. It isn't a Macbook either. Yet, it is most certainly going to cannibalize the latter. The 13 inch Macbook *Pro* without Touch bar doesn't make sense to me. Having said that, it is a beautiful machine though.